PrimaSelect NylonPower Carbon Fiber is the latest generation of high-performance filament for your 3D printer. The material is based on Nylon 12 and is 20% carbon fiber reinforced. This composition results in an optimally resistant filament. PrimaSelect NylonPower Carbon Fiber is the latest generation of high-performance filament for your 3D printer. The material is based on Nylon 12 and is 20% carbon fiber reinforced. This composition results in an optimally resistant filament. Nylon carbon filament is perfect for additive manufacturing of components for the automotive industry, drone construction and RC parts. PrimaSelect NylonPower Carbon Fiber is an extremely useful material with very unique material properties. 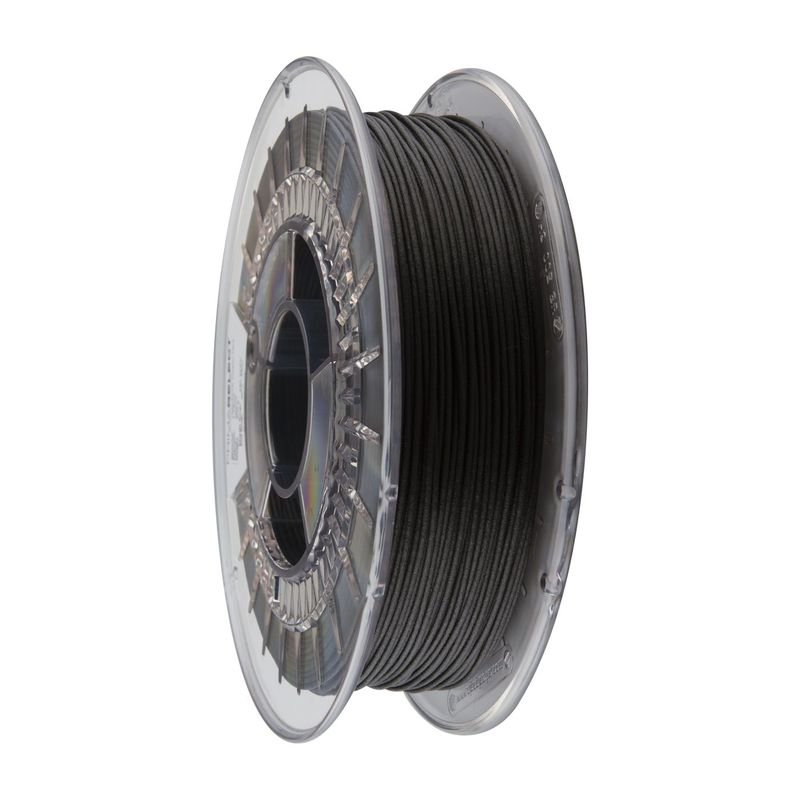 In this filament, the nylon is reinforced with small, cut carbon fiber strands. PrimaSelect NylonPower Filament offers you incredible stiffness, structure and excellent layer adhesion. Simply process the NylonPower filament with carbon. Furthermore NylonPower is very easy to process and has a matt surface. The perfect 3D prints are very stiff, rigid and ideal if you need an object with a high stiffness/weight ratio. To process PrimaSelect NylonPower Filament, use a heated printing bed - set to 60 ˚C - to achieve good adhesion of the first layer to the building platform. Because of the highly abrasive properties of PrimaSelect NylonPower (the nozzle wears quickly due to abrasion), we recommend that you use a hardened steel nozzle for this filament. Using a normal brass nozzle is not a problem, but the nozzle will wear out in a short time. PrimaSelect NylonPower adheres to glass coated with adhesive spray or adhesive. 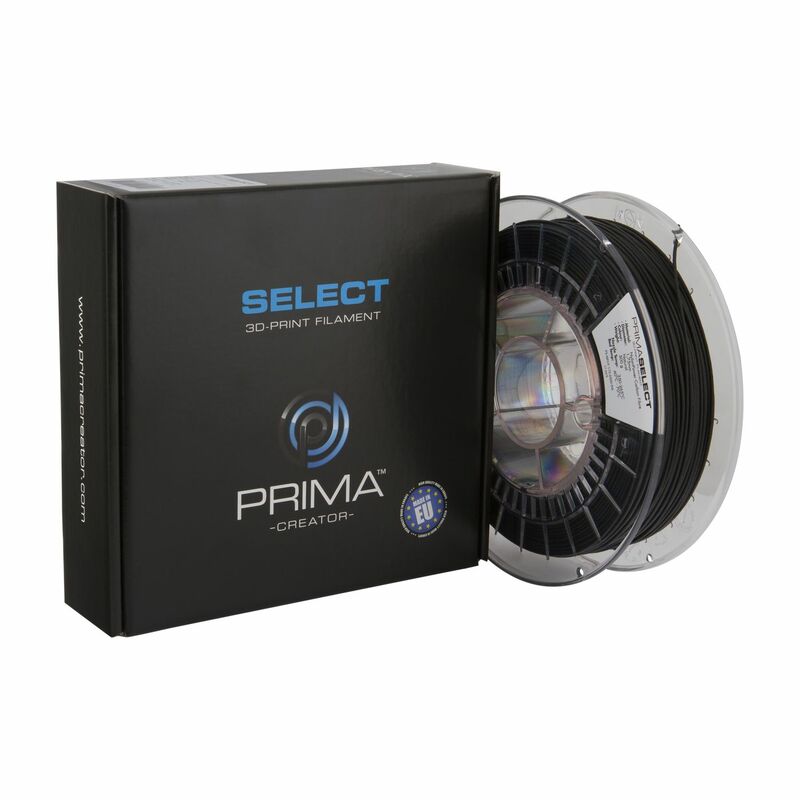 Weight and spool: Each spool comes with 500 grams of high quality filament. NylonPower is supplied packed on a clear spool with a strong desiccant to avoid moisture. Perfect diameter tolerance: NylonPower filament is controlled throughout the whole additive manufacturing process. This ensures that you receive a filament with a diameter tolerance of +/-0.05 mm. Perfect spooling: We have made great efforts to make every spool of filament perfect. So you can be sure that the filament will not get tangled on the spool. Easy to 3D print: The carbon fibres mixed with nylon make this material very easy to process on most 3D printers. We recommend a hardened nozzle. Here you’ll find tips and tricks for processing PrimaSelect NylonPower with carbon fibers on your 3D printer. The carbon fibers contained in PrimaSelect NylonPower reduce the amount of water that can be absorbed. However, for optimal processing you should take care to keep the filament away from moisture and to protect it. To do this, you must store PrimaCreator NylonPower in a dry place immediately after unpacking. The filament is supplied in a vacuum-sealed bag with desiccant so that the first 3D print succeeds immediately and gives you a perfect result. In case of exposure to moisture, we strongly recommend that you dry your NylonPower carbon fibre filament before starting 3D printing. To do this, simply place the entire coil in the oven at 80 °C for 5 to 7 hours. This will dry your coil and allow you to start a new 3D print. PrimaSelect NylonPower requires an extruder temperature of 250 - 265 °C for optimal extrusion. This filament can be processed on most 3D printers. However, we strongly recommend that you use a full metal extruder for higher temperatures. PrimaSelect NylonPower carbon fibre filament can be processed at lower temperatures, too. However, you should always keep in mind that you will not get the same strength in the finished parts when using lower temperatures. 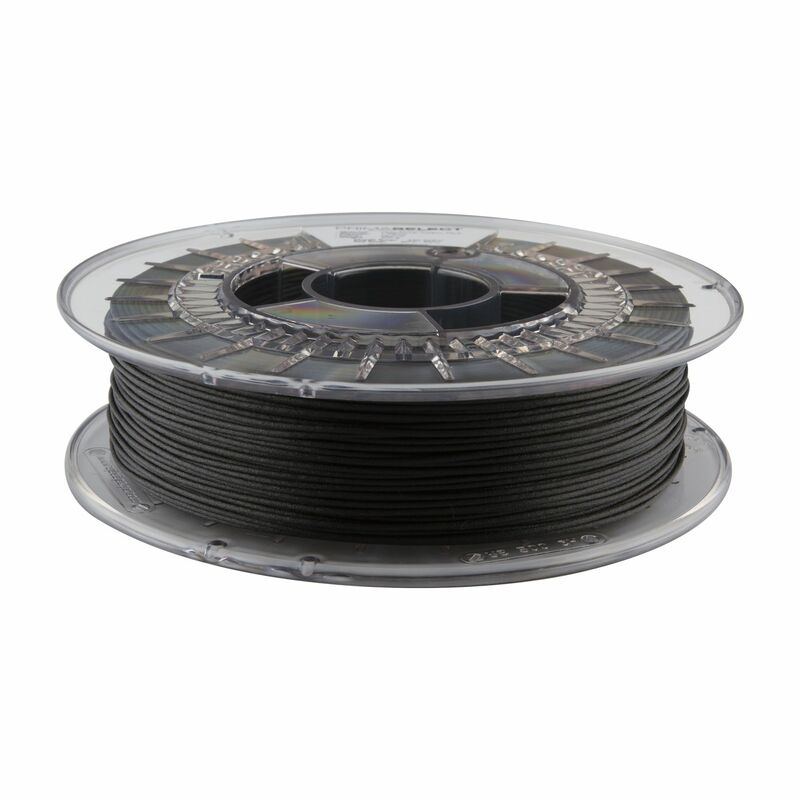 This filament contains carbon fibers, making it very abrasive for your nozzle. We strongly recommend that you use a hardened steel nozzle for this filament, as a normal brass nozzle will be worn out by nylon filament in a very short time. Larger 0.6 or 0.8 mm nozzles produce very strong 3D prints and reduce the risk of clogging the nozzle. However, you can also use it with a 0.4 mm nozzle. NylonPower carbon fibre does not adhere well to PEI, BuildTak, or similar surfaces. Glass is the best surface for use with Magigoo, PrintaFix, PVA-based glue stick or further adhesives. Do not use fans when 3D printing with NylonPower. Buy PrimaSelect NylonPower Carbon Fiber and you'll get the latest generation of high-performance filament for your 3D printer.